Welcome to SCC’s B2B market place. Supplying first class refurbished technology to companies and end users all over the UK. Whether it’s the latest generation of tablet, notebook or desktop, make SCC your market place of choice for all of your refurbished IT requirements. We pride ourselves in enabling our customers to buy the best for less. Our stock includes sought-after brands including HP, IBM, Lenovo and Dell; a one-stop shop for second user IT. 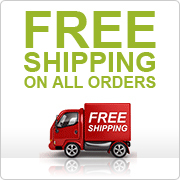 What's more, we will deliver quickly and direct to your door with no shipping fee.